The various-artist compilation features Vybz Kartel, Mr. Vegas, Fambo, Burro Banton, Baby Tash, and many more. 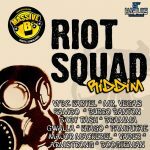 In my opinion, it is definitely not among the best riddims ever produced by Massive B. It is just another mainstream 2010’s riddim. Though, it features a nice line-up of Dancehall artists.